Any new parent (or grandparent) will tell you their baby is the cutest one out there. I'm starting to fall into that way of thinking about the cat. It probably comes from the empty nest syndrome, but how can you resist such a silly cat? She thinks she has to protect the gift wrap while I do the wrapping. 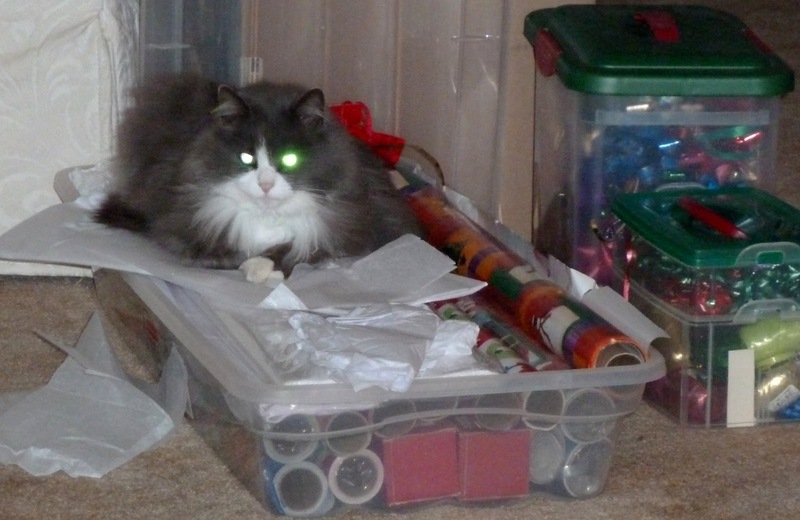 Just look at those glowing eyes - they'd scare off any wrapping paper thief. 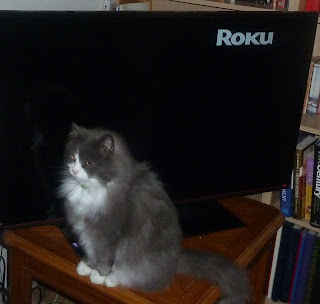 After being disturbed when I kept taking wrapping paper out from under her, she decided the TV needed some protecting, too.